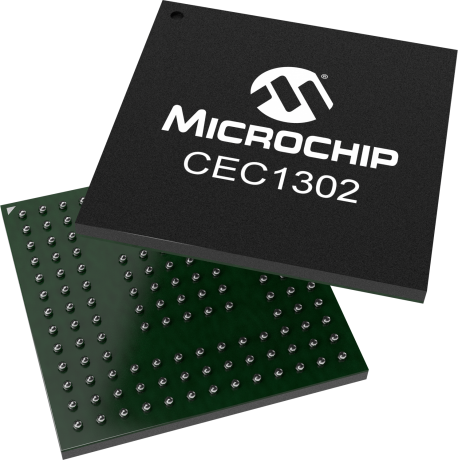 Microchip’s CEC1302 is a low-power crypto-embedded controller that easily and quickly allows for pre-boot authentication of the system firmware. This ensures that the firmware is untouched and uncorrupted thereby preventing security attacks such as man-in-the-middle, denial of service and backdoor vulnerabilities. It can also be used to authenticate any firmware updates, protecting the system from malware or memory corruption. Key benefits of the CEC1302 include significant performance improvement over firmware security solutions. The 32-bit ARM® Cortex®M4 processor core can be used as standalone microcontroller. Easy-to-use authentication, private key and customer programming flexibility minimize customer risk. A complete set of third-party development tools is available to help get your design to market. Support is included for Microchip CEC1302 in IAR Embedded Workbench for ARM (EWARM) 7.70. MikroElektronika provides a complete development toolchain for Microchip CEC1302 ARM® Cortex®-M4 MCUs, including Compilers, Development Boards, Programmers / Debuggers. This clicker 2 is powered by CEC1302, a 32-bit ARM®-Cortex® MCU that integrates a cryptographic engine that provides high level security features.